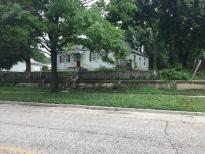 Double on near northeast side overlooking Brookside Park. Home is in need of repairs, but could be a great investment. Easy access to highway and busline.